Upon your arrival at the Jaisalmer Railway Station, meet our tour representative who’ll assist you in smooth transfer to the hotel. Later, check in at the hotel. The rest of the day is free to explore the sights and sounds of Jaisalmer & exploring the popular shopping jaunts. Stay overnight in the hotel. 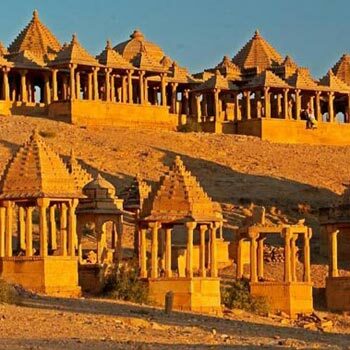 Upon your arrival in Jaisalmer, embark on a sightseeing tour of Jaisalmer which include covering Patwaon ki Haveli and Nathmalji ki Haveli. These Jain temples are beautifully sculptured and were constructed between the 12th and 13th century; and five interconnected palaces of your own. In the late afternoon, leave by road for Khuri, which is located 45 kilometers away. Later, enjoy camel ride and watch the beautiful sunset. Stay overnight in the hotel. In the morning, after breakfast, check out of the hotel and board the coach for your transfer to Jaisalmer Railway Station.